I may have overdosed on pb&j back when I was a kid. Strawberry, grape, gag. Can’t handle ’em. When this recipe called for an entire jar of grape jelly I had to improvise. I swapped apricot preserves for the grape jelly and it added just the right sweetness to counter the chili sauce. If you can handle the grape option, report back. 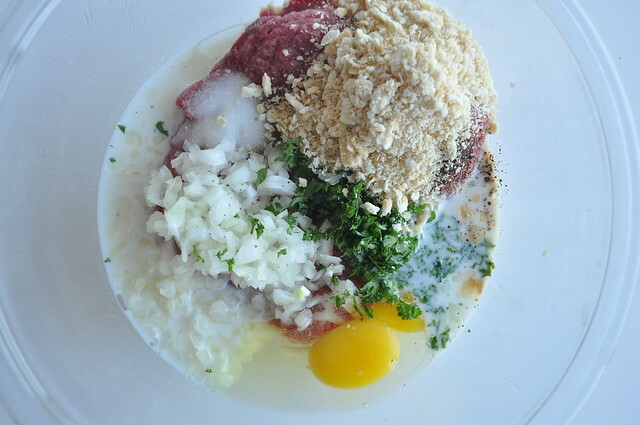 Mix beef, bread crumbs, onion, milk, egg and next 4 ingredients together until well blended. Then roll into generous tablespoon sized balls. 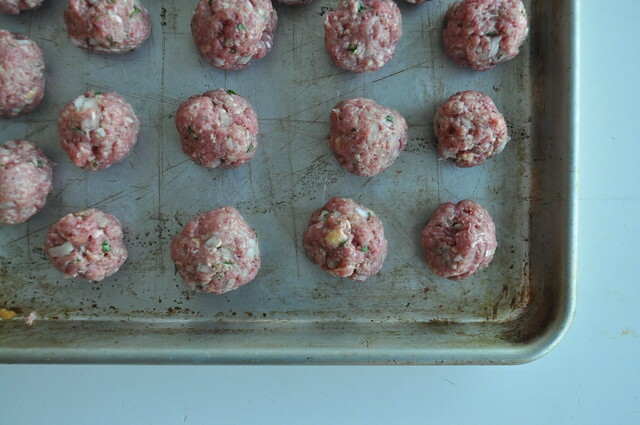 Heat the olive oil over medium-high then begin searing the meatballs. Rotate them as they begin to brown. Once all of the sides are brown remove them from the pan, drain off any oil and then add the chili sauce and apricot preserves. 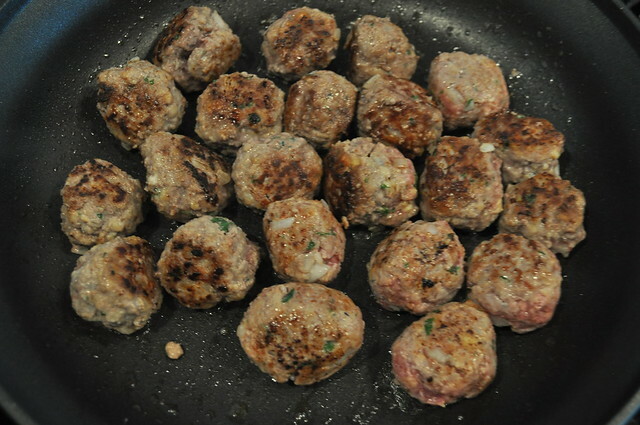 Stir until smooth over medium heat then return the meatballs to the pan. Simmer until the meatballs are cooked through and the sauce has thickened. 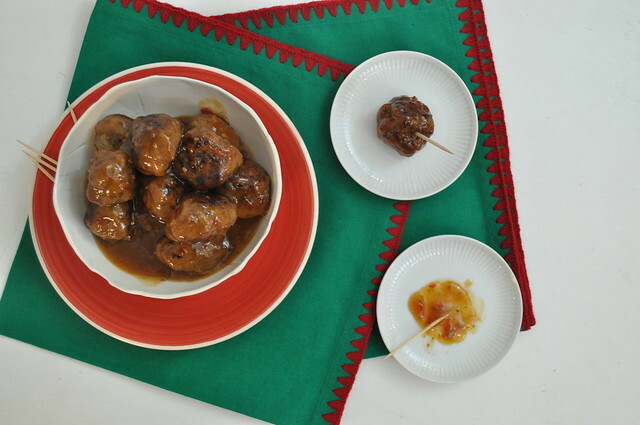 Bake meatballs according to package then add to pan with chili sauce and apricot preserves. 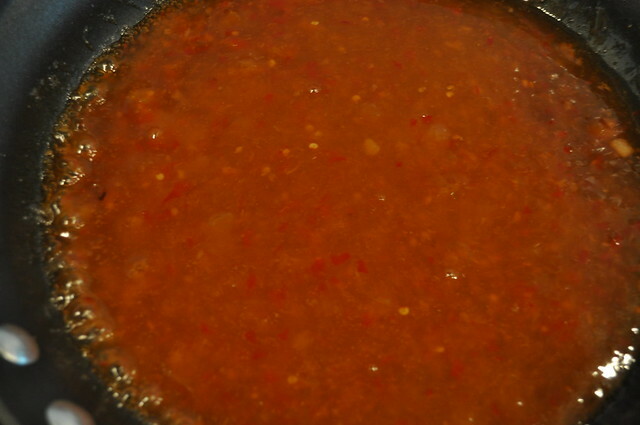 Simmer until sauce has thickened. These may be made ahead and heated just before service. Throw it all together at once, just make sure it is well blended so you don’t have any salty bits. Then sear them in a non-stick skillet. Remove the meatballs, drain the pan then add chili sauce and jelly. Heat while stirring until no lumps remain. 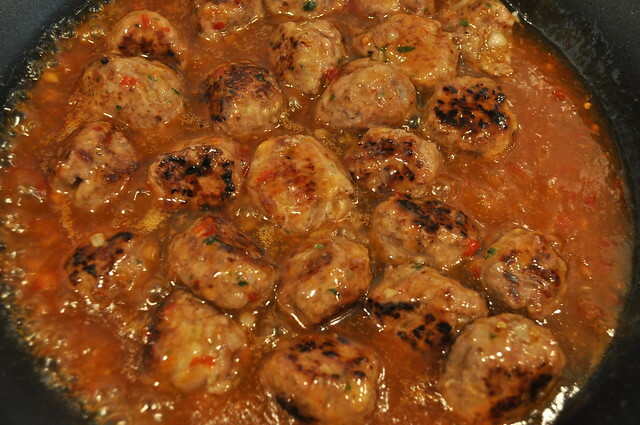 Add the meatballs back into the pan and begin the simmer. The sauce will slowly thicken as the meatballs finish cooking through. Serve hot with toothpicks as an easy finger food. Would you have gone grape?! Do try the grape jelly. It’s Great! 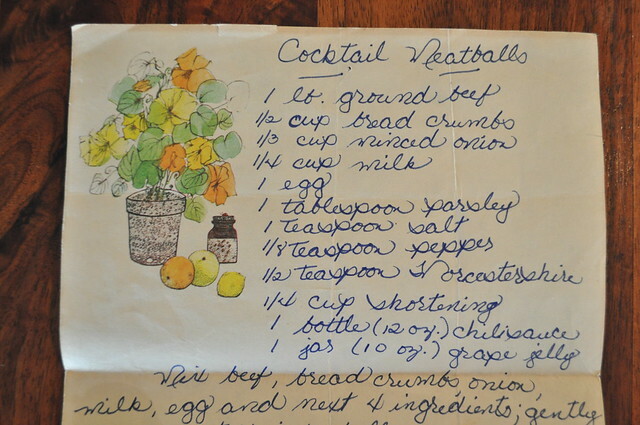 My mommas recipe was simply, your favorite meatball recipe, browned, add equal amounts grape jelly & Homemade brand chili sauce, simmer away & serve with cocktail toothpicks. I just don’t know if I can even buy grape jelly! But I should give it a try.